You walk in, and you are greeted with positivity. 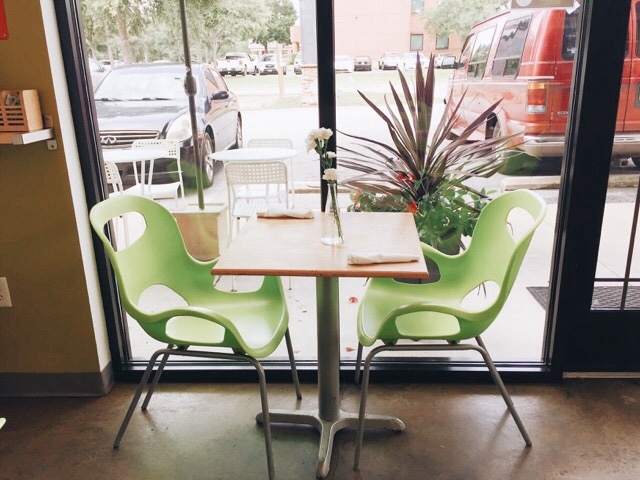 The bright green chairs are a really fun addition, and it will make you smile as you walk in. Next, I love this display of mugs, coffees, and teas. The cute colors are happy, and they really draw you in to the type of products they sell as beverages, or that you can buy and make at home. 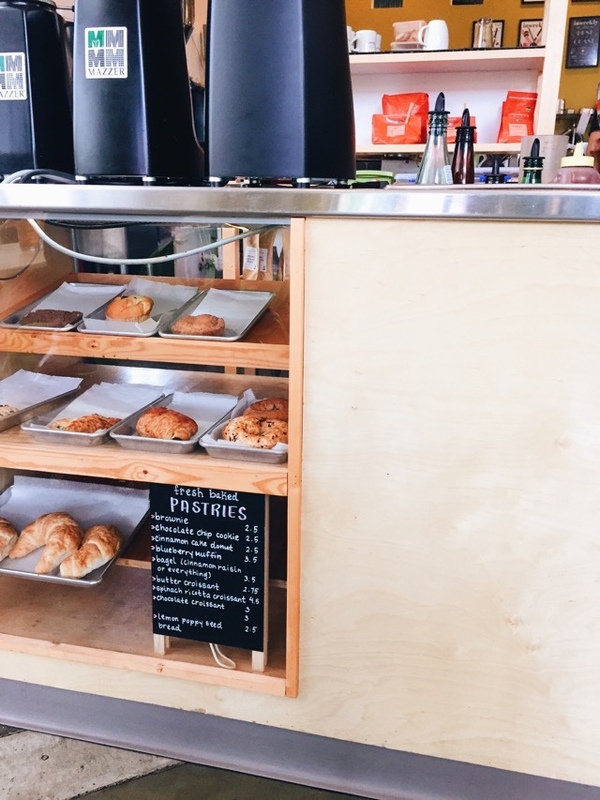 When at the counter, if you look over to your left, you see their delectable pastry case. 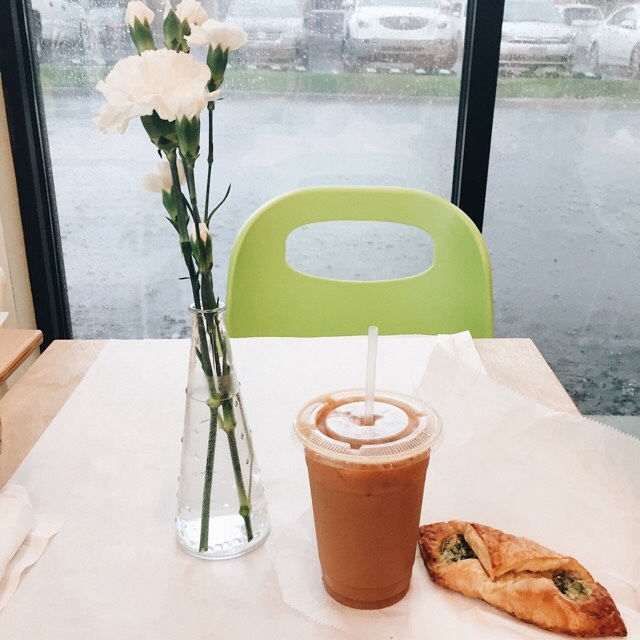 I have had their Spinach and Ricotta croissant, and it is delectable. They have an array of yummy pastries to choose from, and pastries go very well with coffee or tea. One of the best aspects of The Leisure Club Coffee Bar is the high ceiling. The high ceiling allows for high walls, which then allows for the many, wonderful windows that let in so much natural light. 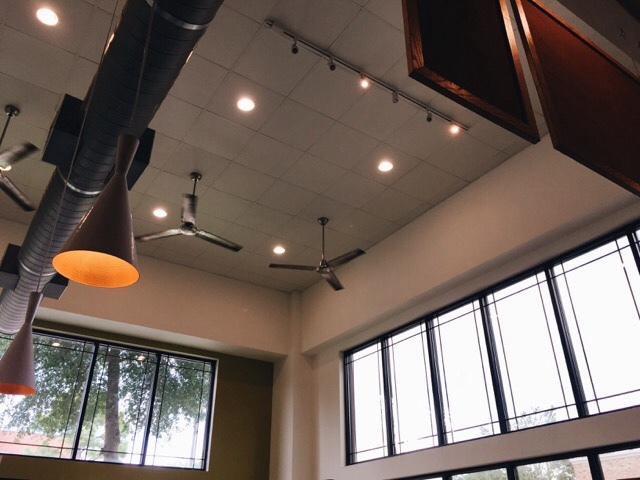 This may seem like a silly thing to look for when reviewing coffee shops, but the amount of natural light that an establishment has is a very important factor. Why? One: I love taking photos of my coffee and the establishment for blogging reasons, and because I like to give great establishments free advertising when I can, so good lighting for photos is a must. Two: With artificial light, and a dark setting, I kind of feel like I am in a dungeon. With the natural light, it sort of lets the outside in, and it feels more open. 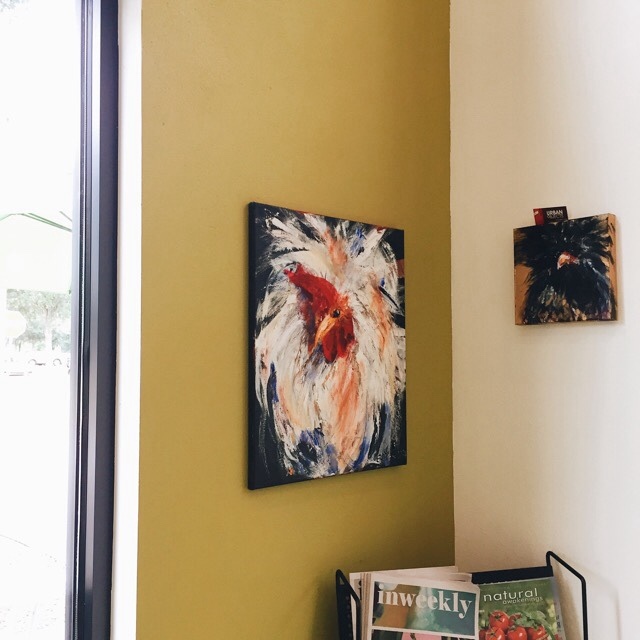 I absolutely love these chicken paintings that they have on the entrance wall. The chickens look like a hot mess. The seating area is quaint, and spacious. Each table has a vase with beautiful, white carnations resting inside. I love that this place is not only a coffee bar, but a restaurant too! They serve breakfast, brunch, lunch, and dessert. 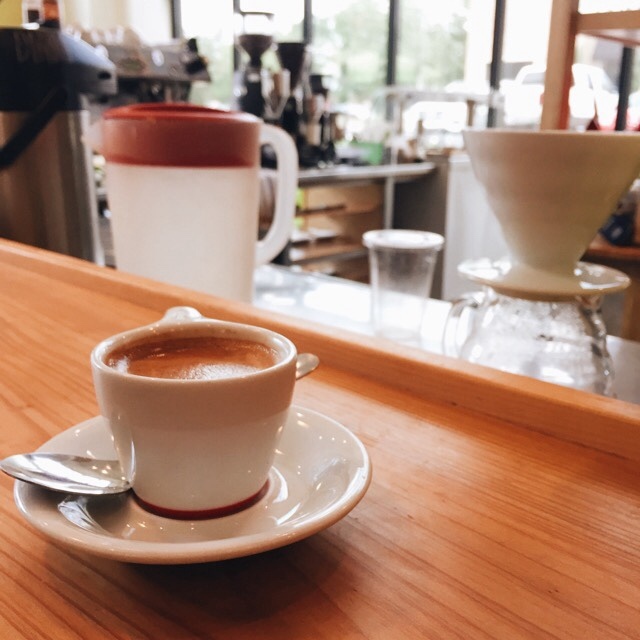 Most boutique coffee shops serve food as well, but when a coffee shop is also a restaurant, it just adds to the magic of The Leisure Club. If you are not a coffee person, The Leisure Club has other beverages to offer, such as teas and smoothies. If you are into matcha, I hear their matcha is amazing. I have yet to try it. 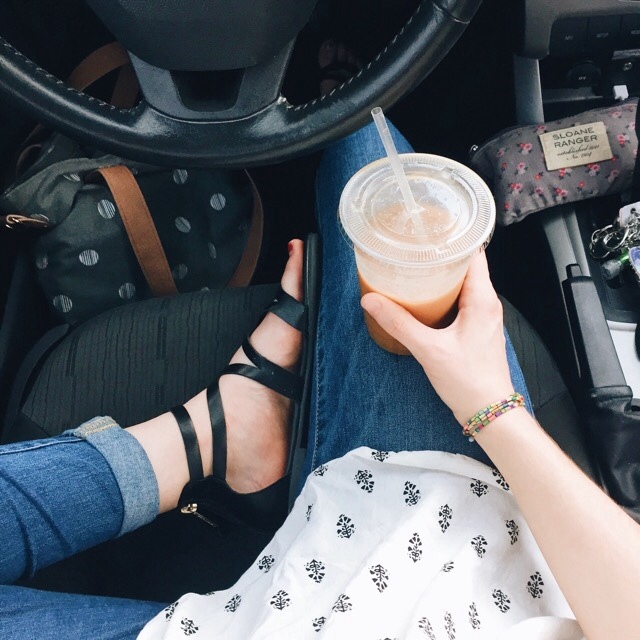 My next visit there, I am getting an iced matcha latte. This past Monday, my roommates and I went to The Leisure Club for a study date, and we also ate lunch here. 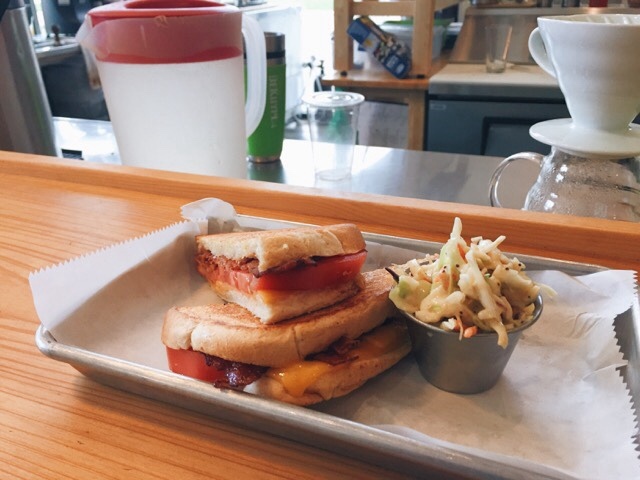 I ordered the Sweet Home Alabama sandwich, and it was one of the best lunch decisions that I have ever made. It comes with a side of coleslaw or potato chips, and I chose the slaw. 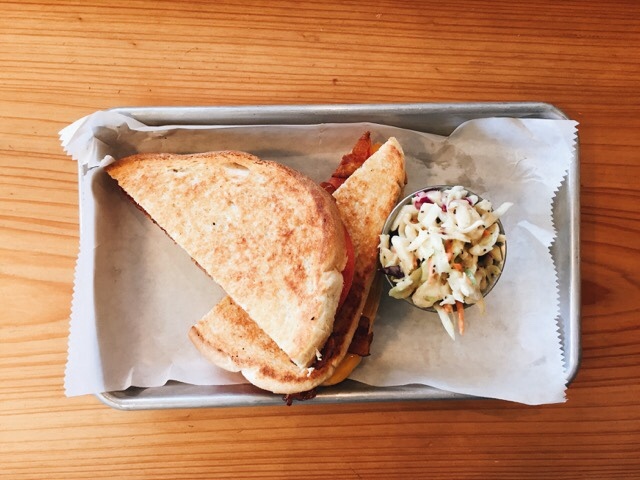 The Sweet Home Alabama sandwich is made with sharp cheddar cheese, a slice of tomato, smoked bacon, and it is all on toasted sour dough bread. Amazing. Before we ordered lunch, we had a study session. While we working on our homework, we kept smelling the delicious aroma of their food. We were tempted to order almost immediately, but we still had a few hours before we had to be in class, and it was best to wait. 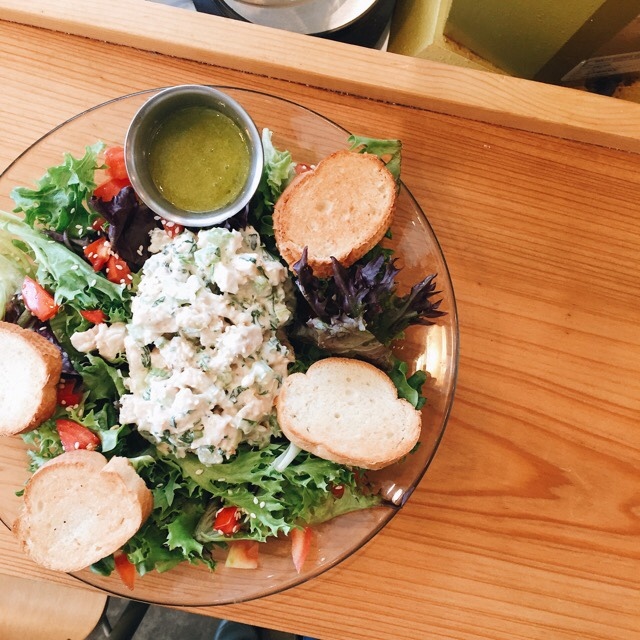 My roommate, Kristin, got the TLC Salad Petite, which includes fresh field greens and tomatoes, topped with sunflower seeds and goat cheese, tossed in a house pesto vinaigrette. She added roasted chicken for some protein. It looked so delicious! I might get the TLC salad next time. The Leisure Club has these adorable "cabanas" that are so perfect for college students and studying. They have power outlets, and comfy chairs and couches. My roommates and I got a lot of studying done, and felt very productive. On the wall in the cabanas, they have these cute monster drawings. They add some fun to the cabanas, and I love that each one is different. This is from when I went last Thursday. It was quite the day, as I spent the entire day studying and I needed an escape form homework. That is when I found The Leisure Club. I drove to the coffee shop while it is sunny, but as I stepped inside, it started to pour down rain. The weather here in Pensacola is just as unpredictable as it is in Oregon. 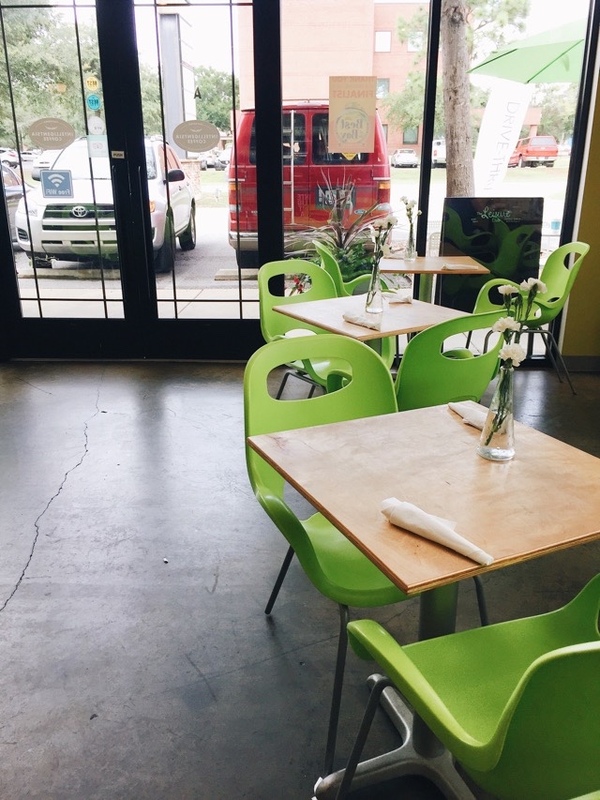 At first, and to be honest, I thought the green chairs were kind of a silly color to have for seating in a coffee shop, but after spending some time at The Leisure Club, the green chairs are growing on me, and they just brighten up my day as I walk inside the shop. They are so fun, and again, they really do brighten up the space even more than the natural light already does. Outside, on the side of their building by the drive-thru window, they have this cute sign in marquee letters. 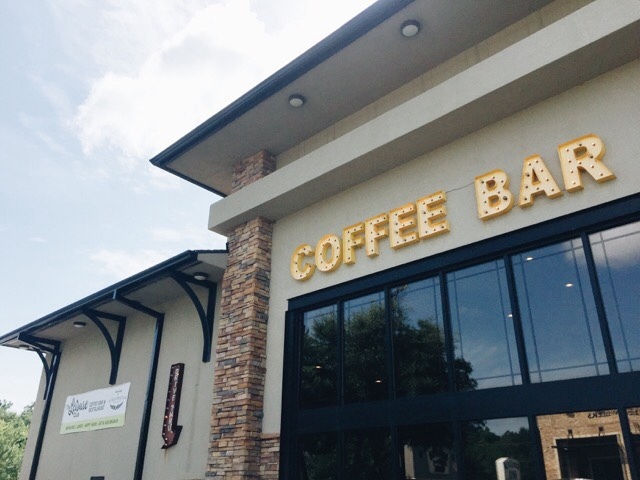 I know that when I see the marquee letters, "COFFEE BAR" I am in a good place. 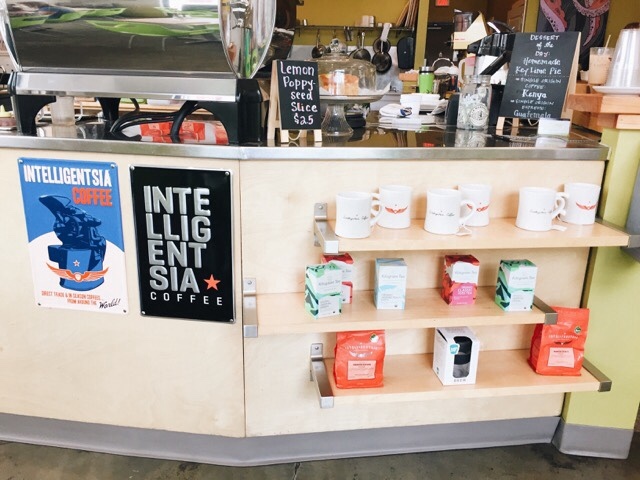 The Leisure Club uses Intelligentsia Coffee, and it is one of the best coffees that I have ever tasted. 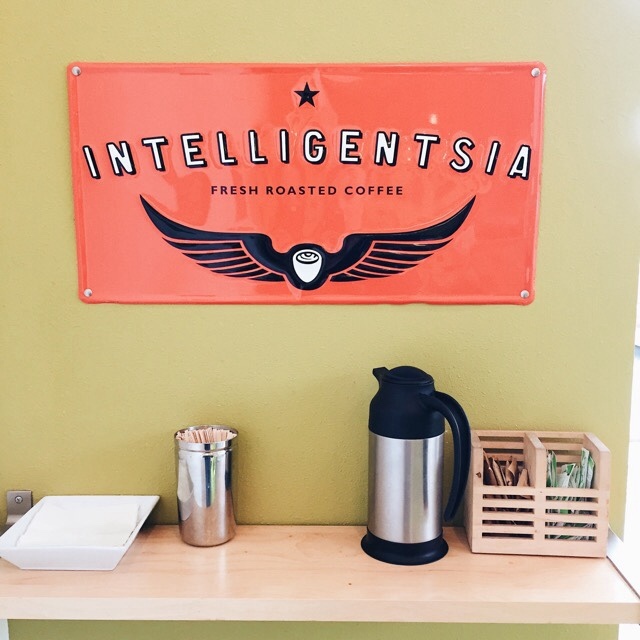 I will always love my Stumptown coffee, but Intelligentsia is a close second. I have been to a few coffee shops around Pensacola, and The Leisure Club is by far, the best one that I have been to. It is now my favorite coffee shop in Pensacola. 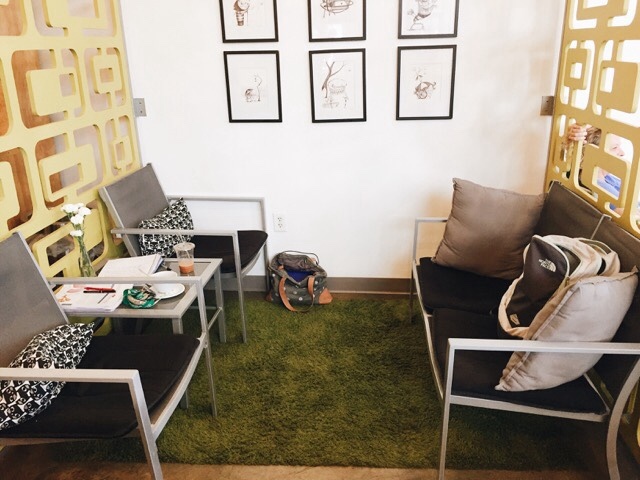 It is the perfect place to go and relax, or take your studies to. 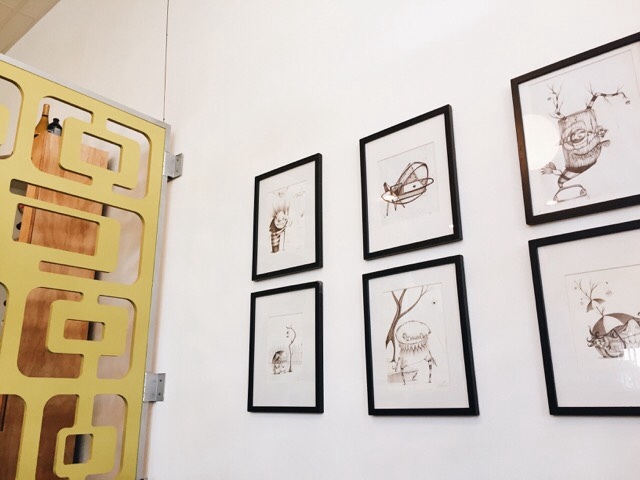 It is a great place to get together with friends, and eat brunch or have a coffee date. 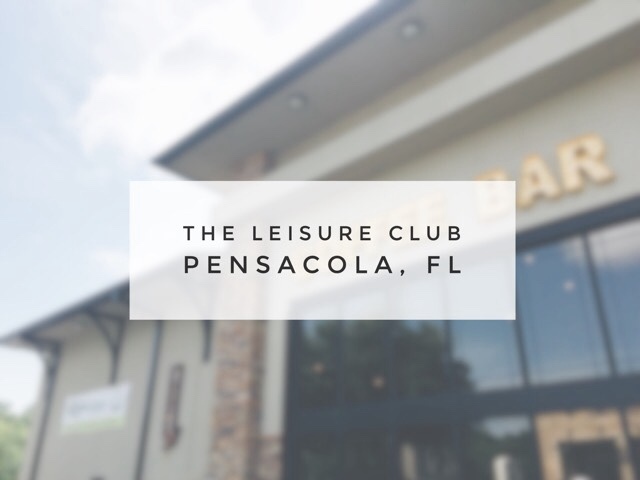 If you live around Pensacola, I recommend that you go check out The Leisure Club. You will enjoy the delicious beverages, and meals that they have to offer.